TMZ has gotten its hands on a video that they say was taken outside of a pizza joint in Scottsdale, Ariz., early Saturday morning. 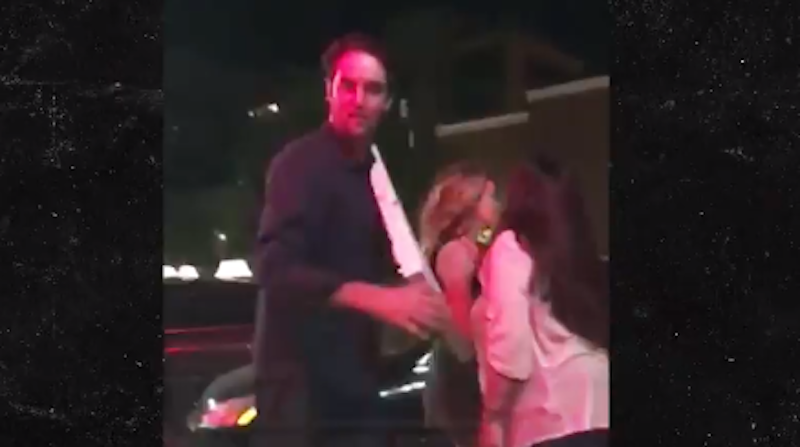 In the clip, you can see Broncos quarterback Brock Osweiler push a woman and then receive a violent shove in the back from the woman’s acquaintance. Osweiler eventually makes it into his car without further physical contact, and without ever relinquishing his pizza.